- Date: 10/2014, Seed: $1.3 M (post valuation: undisclosed amount). 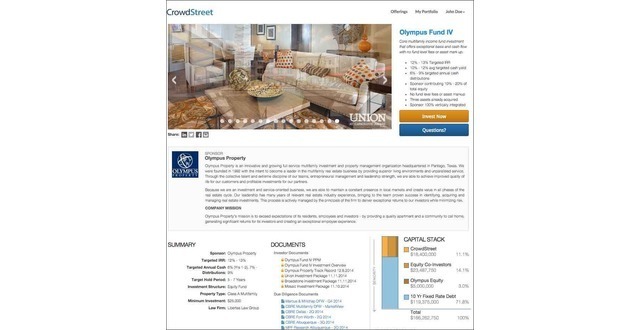 CrowdStreet, a crowdfunding marketplace solution connecting accredited investors with institutional-quality real estate investments. 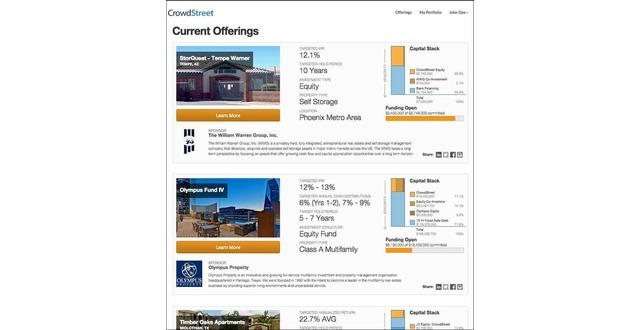 CrowdStreet provides real estate operators, funds and private equity companies a full-service marketplace solution for presenting investments online, marketing opportunities publicly, managing the offer process and maintaining ongoing investor relationships. The CrowdStreet solution is enriched by services and business partnerships that empower real estate sponsors to modernize their fundraising processes and embrace online capital formation. Accredited investors, institutional investors and family offices access an intuitively-designed platform to find institutional-quality real estate investments, complete an online offer workflow, track investment performance and build a commercial real estate portfolio. Based in Portland, Oregon, CrowdStreet was founded in 2013 by a team with deep experience in commercial real estate, securities and finance, marketing, consumer Internet and software development. 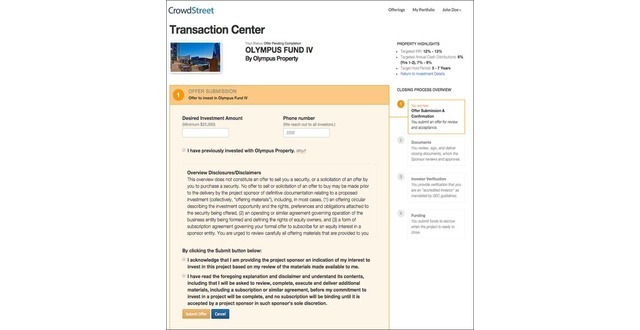 Darren Powderly, CCIM is the Co-Founder & VP of Real Estate at CrowdStreet, a U.S. equity crowdfunding platform connecting experienced investors with high-quality commercial real estate opportunities. 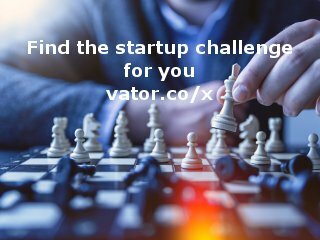 Senior developer guiding the development of the CrowdStreet crowdfunding platform. 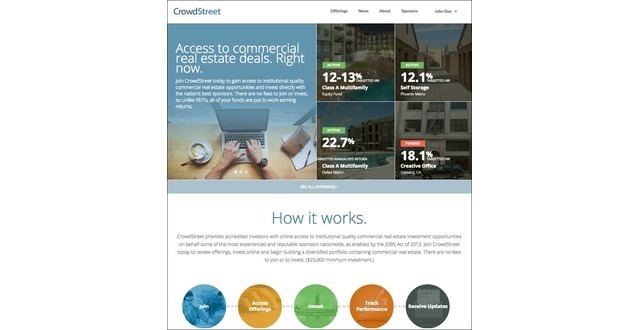 CrowdStreet provides real estate operators, funds and private equity companies a full-service marketplace solution for presenting investments online, marketing opportunities publicly, managing the offer process and maintaining ongoing investor relationships. The CrowdStreet solution is enriched by services and business partnerships that empower real estate sponsors to modernize their fundraising processes and embrace online capital formation. Accredited investors, institutional investors and family offices access an intuitively-designed platform to find institutional-quality real estate investments, complete an online offer workflow, track investment performance and build a commercial real estate portfolio. Focus only on institutional-quality commercial real estate investment opportunities and market-leading Sponsor. Full service business solution for commercial real estate investors that includes a technology platform (public marketplace, white label Sponsor posting platform, closing center, sponsor portal and investor room), marketing services, partnerships and business services. Commerical real estate marketplace and a large and rapidly growing base of accredited investors. Exec Team. CrowdStreet was founded by a team with deep experience in commercial real estate, securities and finance, marketing, consumer Internet and software product development. CrowdStreet was featured in a VatorNews article: "CrowdStreet raises $8M for its commercial real estate marketplace"
CrowdStreet was featured in a VatorNews article: "Daily funding roundup - March 16, 2016"
CrowdStreet was featured in a VatorNews article: "Commercial real estate marketplace CrowdStreet raises $3.5M"
CrowdStreet was featured in a VatorNews article: "Property Partner raises £15.9M for crowd real estate"
CrowdStreet was featured in a VatorNews article: "Vator Splash Oakland 2015 Finalist - CrowdStreet"
CrowdStreet was featured in a VatorNews article: "The winner of Vator Splash Oakland is Thesis Couture!" CrowdStreet was featured in a VatorNews article: "Presenting the 8 finalists for Vator Splash Oakland!" CrowdStreet was featured in a VatorNews article: "CrowdStreet unveils new private marketplace platform "
CrowdStreet was featured in a VatorNews article: "Today's Entrepreneur: Tore Steen"
Green Visor Capital confirmed CrowdStreet as an investment. CrowdStreet was featured in a VatorNews article: "Funding roundup - week ending 9/26/14"
CrowdStreet was featured in a VatorNews article: "Crowdfunding marketplace CrowdStreet raises $800K "